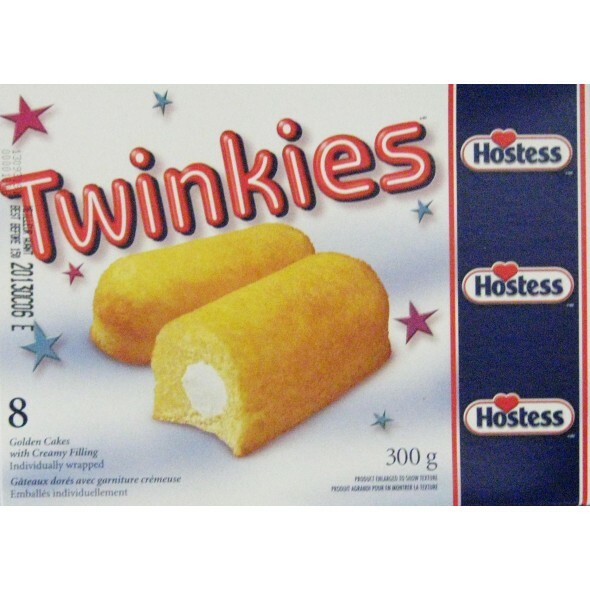 Twinkies: 10 Golden Cakes With Creamy Filling, Individually Wrapped. Hostess Twinkies, the original... Soft and Creamy! 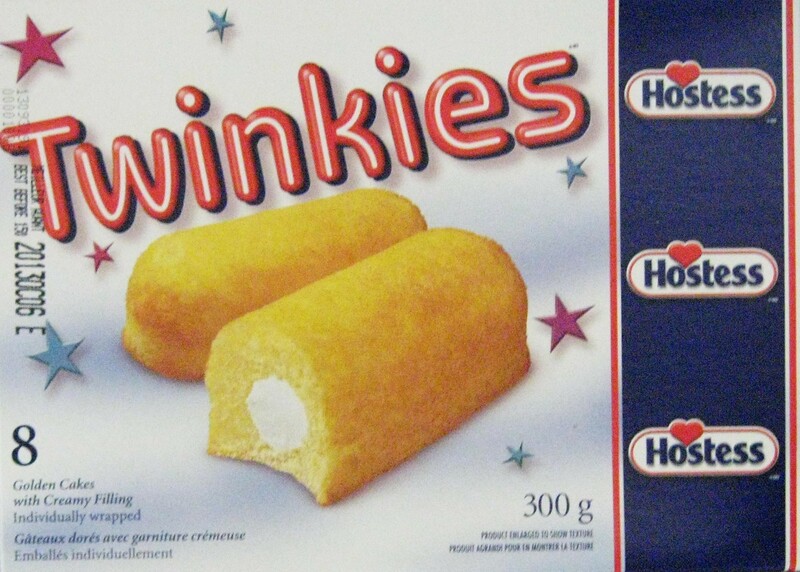 Twinkies: 10 Golden Cakes With Creamy Filling, Individually Wrapped. Hostess Twinkies, the original... Soft and Creamy! Ingredients: Sugar/Glucose-Fructose, Enriched Wheat Flour, Vegetable Oil, [Contains Modified Palm and Modified Palm Kernel Oils], Egg Blend [Liquid Whole Eggs, Liquid Egg Yolks and Liquid Egg Whites] Glycerin, Water, Modified Milk Ingredients, Baking Powder, Corn Strach, Salt, Propylene Glycol, Modified Starches (corn, wheat), Mono and Diglycerides, Sorbitan Monostearate, Potassium Sorbate, Polysorbate 60, Gums [Cellulose, Xanthan, Guar]. Sorbic Acid, Soy Protein, Sodium Bisulphate, Soy Lecithin, Artificial Flavour, Colour [Contains Tartrazine]. CONTAINS WHEAT, EGGS, MILK AND SOY. MAY CONTAIN PEANUTS AND/OR NUTS.